DVD Set Pro – We're professional entertainers and LOVE collecting DVDs about the occult! We're professional entertainers and LOVE collecting DVDs about the occult! 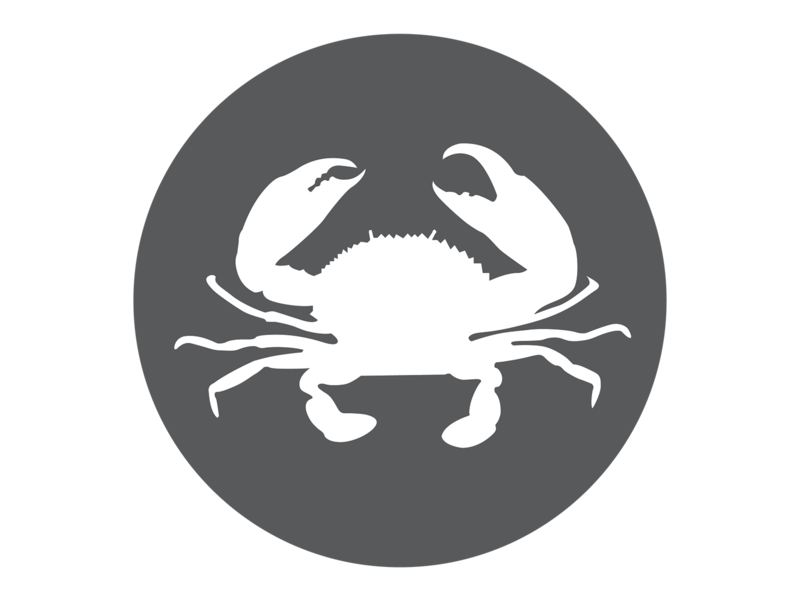 Cancer the crab is the fourth sign of the zodiac and Cancerians are those people with birthdays between June 22nd and July 22nd. This is a water sign along with Pisces and Scorpio and is considered a negative sign because it is ruled by the moon. Being a Cancerian can certainly be challenging, but without these folks the world would be a much crueler and difficult place to live in. Cancer is the sign of the nurturer, the home builder. These people help the rest of the signs create deep home roots and build for their loved ones a safe and secure home space. In return, all they ask is that they are loved and protected from the cruelty of the world – something that can all too easily crush and destroy them. When a Cancerian is having a good day they are helpful and compassionate, very patient and nurturing, wanting to help those they love rest and recover. They also tend to be very romantic and tend to be quite creative. They love building their home and family; many Cancerians love children and can’t wait to have their own. On a bad day, however, a person born under Cancer may isolate themselves and refuse to communicate. They may be hyper-sensitive or overly competitive. While on first look the crab has a hard shell and dangerous claws, all you have to do is flip it over and unsettle it to get at the soft, fleshy underside. Cancerians are much the same; unsettle them and they struggle to protect themselves. While many Cancerians are able to have jobs, they want nothing more than to be in their own home and to ‘nest’. Creating a home and family gives them a sense of security. These folks are known for being open and welcoming, inviting people into their space for fun and fellowship. They are never happier than when they are cooking for a crowd of people that they love. They always have an ear for listening and a shoulder to cry on. They make excellent parents, excellent pet owners and wonderful friends. However, if those around the Cancer don’t take care to establish boundaries, a Cancer can become exhausted and drained. This leads to them becoming very pessimistic and distant. They will start to cut people out – hurting themselves in the process. Ruled by the moon, these folks tend to be very sensitive and are easily hurt. They need people around them who let them have a moment of self-pity but then push them to get over it and move on. If allowed to brood on their fears, they will slip quickly into depression. They will need partners that not only appreciate their care taking abilities, but also want a large family full of people for whom the Cancerian can work on nurturing and caring for. If fertility issues arise, their partner must be prepared to seek alternatives so that this foundational need of the Cancerian is met and they are able to build their home. Chickens are surely one of the most common animals that people see in farms. The reason behind this is that people like to eat chicken in all of their meals. With this, raising and breeding chickens have been done by so many business people and by doing so, they have earned a lot of money. It is very important that before you start breeding chickens, you should make sure that you have passed local checks or else it will cause you trouble. Breeding any animal usually has problems with sanitation. So, if you are not convinced enough yet, here are the advantages and disadvantages of breeding and raising chickens. Raising chickens are cheaper compared to raising other animals. This fact has been observed by so many animal experts. For instance, when it comes to food, chickens are not very choosy. They can eat almost anything, and you do not need to buy them their food. At most, you do not need to spend over $3 in a day for food alone. Comparing it to other animals, you need to have the food prepared and make sure that they have eaten. Moreover, you do not need to spend a lot of money when it comes to vaccination and medication. Chickens have the one-time vaccination, and usually, they stay disease free for several months. The medication in case they get flu, or something is also very cheap. Aside from that, you do not need to spend lots of time with your chickens to play and groom them. This helps you save your time and effort and of course you can do other things that are more productive. Lastly, by raising chickens, you can get something from them just like their meat and of course their eggs. You do not have to buy these products which are commonly used in households. Chickens cannot be good pets. You cannot pet them, and in most cases, they cannot understand the feelings of their masters. They are boring companions, and of course, they are not very useful especially when it comes to guarding your house or so. Although chickens can help you save your time because you do not need to spend much time with them, your time will be occupied in cleaning their coop. There are times that the coop gets messy and smelly due to the waste material. It is advisable to clean the coop at least once in a week to ensure clean and healthy chickens at all times. Raising and breeding chickens both have advantages and disadvantages. If you have decided to raise and breed chickens, you should be responsible enough to follow the local laws about it and of course to know the proper maintenance. Aside from that, you should have extra time and the commitment to check your chickens continuously. By the information given above, you can finally decide whether to go for raising chickens or not. DVD Set Pro 2019 | All Rights Reserved. Animals theme by Flythemes.